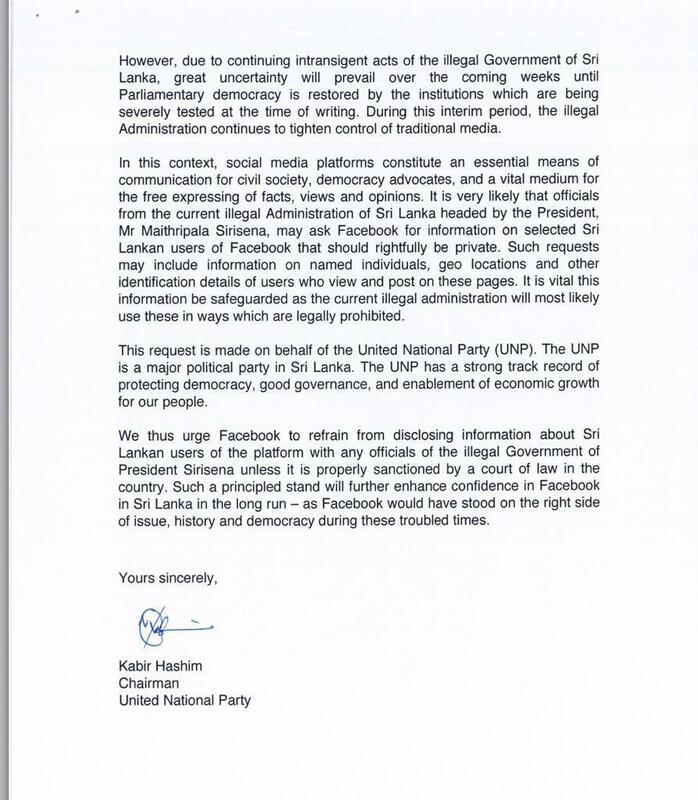 The United National Party (UNP) has urged Facebook not to disclose user data to the ‘illegal’ administration of Sri Lankan President Maithripala Sirisena citing concerns that data would be misused by the government. 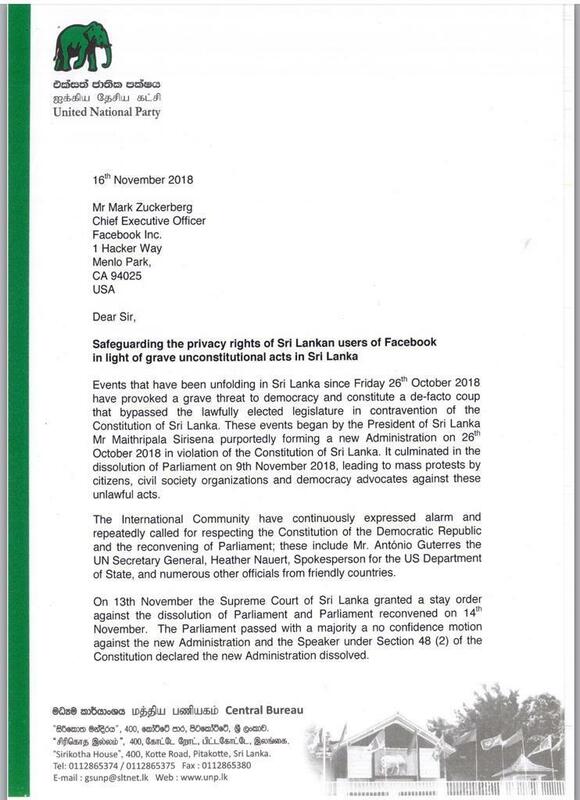 Amidst Sri Lanka’s ongoing political crisis over Sirisena’s attempts to instate former president Mahinda Rajapaksa as prime minister, the Sirisena administration “continues to tighten control of traditional media”, the UNP said in a letter to Facebook’s CEO Mark Zuckerberg. Predicting a crackdown on social media platforms, which the party claims “constitute an essential means of communication for civil society, democracy advocates, and a vital medium for the free expressing of facts, views and opinions”, the party said that any requests for information such as users identities or geo locations should be repudiated. “It is vital this information be safeguarded as the current illegal administration will most likely use these in ways which are legally prohibited,” the party said. During the anti-Muslim violence in Sri Lanka earlier this year, a number of social media platforms, including Facebook were suspended by the country's internet service providers. Facebook has been piloting a system of removing misinformation from the platform, trialling it in Sri Lanka. Ousted UNP prime minister Ranil Wickremesinghe had previously said that social media including Facebook was becoming a 'disruptive force' globally.